When you set up a custodial account for your child under the Uniform Transfers to Minors Act, you may have the best of intentions that this will ultimately benefit your loved one well into the future. Unfortunately, however, some people are realizing that this was a mistake later on. This is why some estate planning professionals refer to this as UTMA regret. This can be extremely challenging when you want to make changes to the account. Protecting the child’s money. In situations in which you believe the child is not mature enough to handle the sum. Student financial aid and the impact that this could have on a child’s eligibility to receive scholarships and grants. Siblings who come along after the first child has received a UTMA account. Special needs that could block that child from receiving government aid. Misunderstanding for situations in which an individual set up such an account, but did not understand how it worked. It is important to carefully consider all aspects before moving forward with a UTMA account. Typically, a UTMA account is the first savings fund that grandparents and parents will set up for young children at a mutual fund company, bank or brokerage house. This is a low-cost route that allows an adult to be responsible for managing the money for a minor. 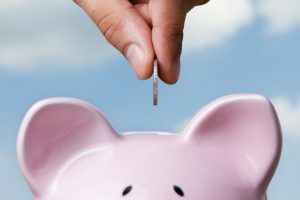 Since young people are legally entitled to that money when they achieve a certain age, they might have other ideas about how to spend it in comparison with how the person who set up the account viewed it. Trying to remove the money from the account or investing it all in savings bonds and planning for the child to not find out could actually be illegal. Consulting with an experienced estate planning attorney is strongly recommended if you are considering using a UTMA account for a loved one.